In the process of Bill Champlin's new album! Some news about Bill Champlin's new album to be released in Spring by a new company, Dreamakers, co-produced by Bill himself and friend Mark Eddinger who's played on a lot of sessions and with a lot of bands over the years. Bruce Gaitsch, Billy Ward and George Hawkins Jr joined Bill to work on new songs. On the record there will be a few unexpected surprise guests and re-makes of some stuff you've heard. Will Champlin is on a few things and Tamara Champlin has sung a little, too. There'll be other guests, as Steve Lukather (Bill also contributed to Steve's brand new cd "Ever changing Time"), Jerry Lopez and the Santa Fe horns, Joseph Williams and Peter Cetera for some background vocals,... and a duet with singer Michael English! 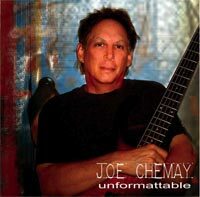 Joe Chemay returns with "Unformattable"
Joe Chemay is a well-known bass player & background singer. Turn your radio dial and it won't be long before you hit something Joe Chemay has played on. This top session bassist has played and recorded with names including Elton John, Lionel Ritchie, Christopher Cross, The Beach Boys, Pink Floyd ("The Wall" tour), Shania Twain and Rascal Flatts to name a few. Joe formed his own band and recorded their own album in 1980. As the Joe Chemay Band, they got a deal with Unicorn Records, distributed by MCA. They released "The Riper The Finer" in early 1981 in the States, with a 1st single "Proud". Joe's Newest solo venture entitled "Unformattable" is the culmination of a life devoted to music. A glimpse of inspiring melodies and dignified funky grooves! Available on Itune, "Unformattable" will be released soon on cd at amazon.com! The record is produced by Ed Seay (Martina McBride, Colin Raye) for Trifectone, a writing, producing, publishing and recording partnership between Joe Chemay, Ed Seay himself and Biff Watson. Westcoast Rendez-Vous and Prowest (non profit organization based in France that promote since more than 15 years Westcoast Music and AOR) are proud to announce and to offer you the Encyclopedia of Westcoast Music. Westcoast Rendez-Vous member Jean-Philippe Rejou has worked year after year about 2 lists which are the Westcoast Music Encyclopedia. As an hobby, Jean-Philippe has elaborated two impressionning lists which are a worldwide Westcoast Music database of what represents Westcoast Music / A.O.R. in terms of artistry, albums and musicianship since more than 40 years. This great work is now offered to you in different PDF format files which you can download free of charge. The first part of the Encyclopedia of Westcoast Music and A.O.R. consists in a listing of artists and groups (by alphabetical order) with a description of their major albums and EP (track listing, songwriting and musician credits for each LP). With the research option of Acrobat Reader, you can browse in the stuff of your favorite artists, groups, musicians and songwriters very easily. On this incredible list of musicians and vocalists (by alphabetical order), you can find on which albums and EP great musicians and vocalists play on or contribute on. You can see how musicians and vocalists has influenced on Westcoast Music and A.O.R. a lot of LPs during more than 40 years of the Rock era. With the research option of Acrobat Reader, you can browse in the stuff of your favorite musicians and vocalists very easily. Enjoy this amazing work by Jean-Philippe Rejou! This list will be updated in the future. Stay tuned at the same address/link for updates! Don't hesitate to talk about the Encyclopedia of Westcoast Music and A.O.R. and please be careful about pitiful imitations! Encyclopedia of Westcoast Music & A.O.R. and we will mention a permanent link about your website in the Encyclopedia presentation article! 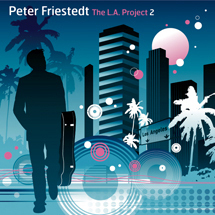 We are glad to announce that Peter Friedest new album entitled "The L.A. Project 2" will be released February 20, 2008 on Vivid Sound Japan (Light Mellow's Choice collection). 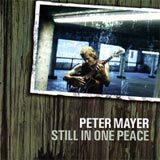 This new release of the scandinavian guitarist and composer Peter Friedest is one of the most interesting AOR / Westcoast Music CD we are eager to wait for in early 2008 with soft sounds and a great production. Peter Friedest "The L.A. Project 2" CD front cover is a graphic design signed by Arnaud Léger (from Westcoast Rendez-Vous!). Enjoy! On this new LP of 9 tracks (Where To Touch You, Cheyenne, One More Night, Closer To Home, Love Is Gonna Getcha, Wings Of Joyful Thinkin', Careless Mockinbird, Love Is A Powerful Thing - coproduced by Michael Ruff - et Waiting For You), you will appreciate the magic touch of Peter Friedest and well known contributors. There are great songwriters on Peter Friedest "The L.A. Project 2": Bill Champlin, Randy Goodrum, Lou Pardini, Bill Cantos and Michael Ruff... But also big names as musicians and vocalists: Joseph Williams (ex-Toto), Bill Champlin (Chicago), Randy Goodrum, Lou Pardini, Abraham Laboriel, John JR Robinson, Bill Cantos, Michael Ruff and Tris Imboden (Chicago). Toto "Falling In Between Live" DVD (Eagle Vision) recorded live in Paris in early 2008 is going to be released in Japan February 20, 2008. The DVD will feature 11 tracks. You can look at 2 video sequences of the Toto Live forthcoming DVD at Toto official website : video 1 and video 2. In Japan too, the double live CD from Toto "Falling In Between Live" will be in stores January 23, 2008 with no bonus tracks which is quite an exception due to the fact past CD releases of Toto in this country usually features one or more bonus tracks. 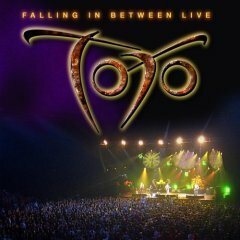 For the European fans of the band, please note the Toto "Falling In Between Live" DVD will be out February 25, 2008 in Great Britain (Eagle Rock Entertainment). The DVD will feature 23 tracks, 142 minutes of great music. No dates of releases are available yet for France and Germany. Stay tuned! Kenny Loggins has decided to re-release his latest CD "How About Now" (180 Music) at all the usual CD/music outlets on and off-line, and features brand new cover art. 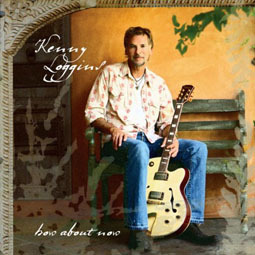 Kenny Loggins "How About Now" CD is now only available at Target stores and only for the american domestic market. With this announce, Kenny Loggins clearly wants to export his latest CD as well as considering non american fans have also the right to obtain his "How About Now" LP released in early 2007. Featuring 12 original songs infused with Kenny Loggins' signature roots Rock/Country sound with standouts including the moving latest single "How About Now" and a new version of the Loggins & Messina favorite "A Love Song." We are eager to listen to it... Michael McDonald new album would be entitled "Soul Speak" and the date of the release in The States is March 11, 2008 on Universal Music Group and more specifically on Motown Records (the third Michael McDonald LP on Motown Records). The first single will be a cover version of "Walk On By" planned to be released on January 15, 2008 in The USA. Michael Donald "Soul Speak" album will feature cover versions of the Rock and R'n'B and 3 new songs. 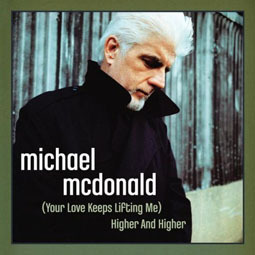 Like a beautiful Christmas gift, Michael McDonald has released 2 new songs on December 25, 2007 (Merry Christmas!) : "(Your Love Keeps Lifting Me) Higher And Higher" (originally from Jackie Wilson) to listen to and to download from Amazon.com and "Love T.K.O." (Teddy Pendergrass cover version) also to listen to and to download from Amazon.com . The standard "Walk On By" (originally songwritten by Burt Bacharach and Hal David for Dionne Warwirck can be listen to and preorder on Amazon.com NOW . 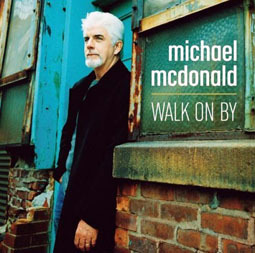 Here is a list of Michael McDonald cover versions on Michael McDonald "Soul Speak" album: Van Morrison "Into the Mystic" ; Stevie Wonder "For Once in My Life" ; Ray Charles "You Don't Know Me", un cover de "Hallelujah" (Leonard Cohen), "(Your Love Keeps Lifting Me) Higher And Higher" (Jackie Wilson), "Walk On By" (Burt Bacharach and Hal David, Dionne Warwick), "Love T.K.O." (Teddy Pendergrass) and 3 new songs. Some of the songs of Michael McDonald new album have been recorded in Los Angeles with Simon Climie as a producer. 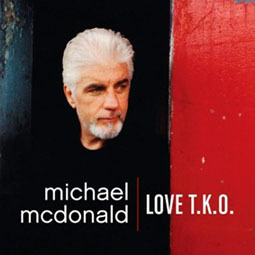 A few musicians who contribute to Michael McDonald new album: Michael Thompson (guitars), Abraham Laboriel Jr (drums), Vinnie Colaiuta (percussions) and Stevie Wonder (harmonica). Please also note that Michael McDonald is number 20 in the Smooth Jazz charts in The USA with the cover version of "You Belong to Me" with Chaka Khan as a duet feat. on Chaka Khan new album "Funk This " released in September 2007. Tomorow... Our Christmas gift... Stay tuned for more Westcoast Music for a nice present we are sure you will appreciate... 'Til Then, Happy Holidays from Westcoast Rendez-Vous staff. "Each one of the CDs I’ve been lucky enough to be a part of has its own fingerprint and this one followed suit. In the past I filled up a box, a notebook, a little tape recorder full of songs and song ideas and when it started overflowing I’d dump them out onto the table and pick out what I thought were the songs with the best chances to make it past the dream stage. I decided to do a little Field Of Dreams work and start building the park before the players had been chosen for this team. I did have a list of titles, and I had some music that I liked, but very few of the songs were finished when we went into the studio. The songs came from every direction; an old PM song written with brother Jim Mayer and Roger Guth, but that never made it into a recording ‘til now, an arrangement of a hymn that we’ve done live that we have wanted to get down, a lyric idea that had been a persistent itch on my brain and that would not disappear ‘till it got some attention. I ended up with about 20 ideas that were distilled (by time and quality control) down to 13. This CD has multiple personalities, there’s no doubt in my mind, but each of these songs, like some of the people, places, and things they were written about, brought something intriguing, devastating, beautiful, good, necessary, challenging and/or irritating to my life, and life at this point would not be the same without them. The other thing I need to say is that without the co-writers, musically and lyrically, I would have nothing. And…I’ll add that many of you were co-writers and didn’t know it in the way that chance interactions spark a story each and every day. So…now that we’ve written these songs together I hope you love them or hate them enough to stir something up in you." Dan Fogelberg passed away. Dan Fogelberg died. Thanks to Linda who sent us a comment today on Westcoast Rendez-vous to mention us that Dan Fogelberg passed away. A very very sad piece of news by the way. 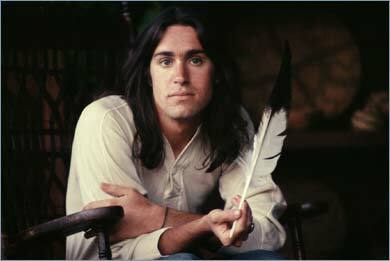 Dan Fogelberg passed away at his home in the State of Maine, U.S.A. on December 16, 2007 at 6 am. This is more than a sad information. We do remember all the magical songs Dan Fogelberg brought to his numerous fans during the seventies, eighties, nineties and since the beginning of the new century. An incredible voice for Dan Fogelberg and also a remarkable songwriter, guitar player, pianist, keyboard player, producer, arranger... From 1972 to 2007, Dan Fogelberg went from Folk Music to Pop Rock with a touch of Country Rock and a romanticism that is one of this finest music touch. Dan Fogelberg has been one of the major US artist in Pop Rock of these last 35 years. 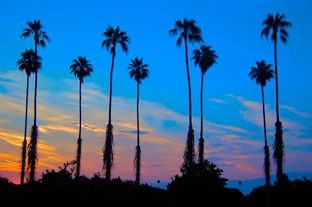 In AOR, Westcoast Music and Adult Contemporary, Dan Fogelberg has influenced a lot of artists. Great producers have worked with Dan Fogelberg along his career (Joe Walsh, Marty Lewis, Russ Kunkel...), but also the finest musicians (Russ Kunkel, Michael Botts de Bread, Gerry Beckley from America, Mike Finnigan, Don Alias, Joe Vitale, Jeff Porcaro and Mike Porcaro from Toto, Charlie McCoy, Michael Landau, Bill Payne, Carlos Vega...) with incredible vocalists (Vince Gill, Jim Photoglo, Graham Nash, Randy Meisner, Glenn Frey, Emmylou Harris, Don Henley from The Eagles, Joni Mitchell, Chris Hillman, Timothy B. Schmit, the Waters family, David Crosby, Arnold McCuller...). Dan left us this morning at 6:00am. He fought a brave battle with cancer and died peacefully at home in Maine with his wife Jean at his side. His strength, dignity and grace in the face of the daunting challenges of this disease were an inspiration to all who knew him." In May of 2004, Dan Fogelberg was diagnosed with advanced prostate cancer. From this period, there was no news from Dan Fogelberg except his own message posted at his website in 2005 where he sincerely thanked his fans for their support messages and giving a health prevention message to men: "I encourage you strongly enough to get a DRE (Digital Rectal Exam) and a PSA (Prostate Specific Antigen) test EVERY YEAR". At this hour, except USA Today, no US big media has informed about the death of Dan Fogelberg but we are sure that his death is going to have a big echo because of the number of the fans worldwide that love his music and not only his big hits "Longer," "The Power of Gold," "The Language of Love," "Lonely in Love," "Leader of the Band," "Hard To Say," and "Same Old Lang Syne" but his entire music career... Also due to the fact, Dan Fogelberg was an incredible artist on stage, that he participated to a lot of charities events. We are sure that friends, fans and a lot of US, Canadian artists who have worked with Dan Fogelberg are going to give him a tribute or memory by words and music in the next following weeks. From 1972 to 2007, with 22 solo albums (including Best Of and live LPs) and 2 albums with Tim Weisberg, Dan Fogelberg has brought joy and smiles in this world from fans worlwide. It's magic and this is music... The show must go on. USA Today first article in The USA about the death of Dan Fogelberg: Singer/songwriter Dan Fogelberg dies. You can also put a message/comment at this end of this message in the memory of Dan Fogelberg. We would like to feature a special article with memories/messages from artists as a tribute to Dan Fogelberg.